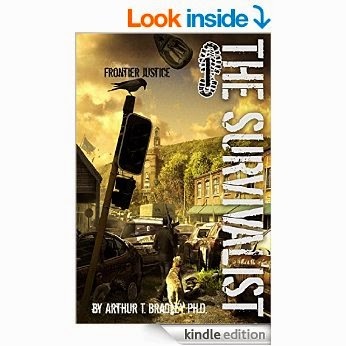 Frontier Justice (The Survivalist Book 1) by Arthur Bradley. To stay alive, U.S. Deputy Marshal Mason Raines must forage for food, water, and gasoline while outgunning those who seek to take advantage of the apocalyptic anarchy. Together with his giant Irish wolfhound, Bowie, he aligns with survivors of the town of Boone in a life and death struggle against a gang of violent criminals. With each deadly encounter, Mason is forced to accept his place as one of the nation's few remaining lawmen. In a world now populated by escaped convicts, paranoid mutants, and government hit squads, his only hope to save the townspeople is to enforce his own brand of frontier justice. A virus similar to smallpox is released in America, decimating 99% of the population. Among the scattered survivors is Mason Raines, a deputy marshal, and one of the few immune to the virus. The story follows his adventures, as he faces a world filled with peril at every turn. If you're a regular reader of TEOTWAWKI style novels then you won't find anything new in terms of the storyline. The main character, Mason, is an ex-army ranger, turned marshall, and as you can imagine, supremely gifted with the use of guns. 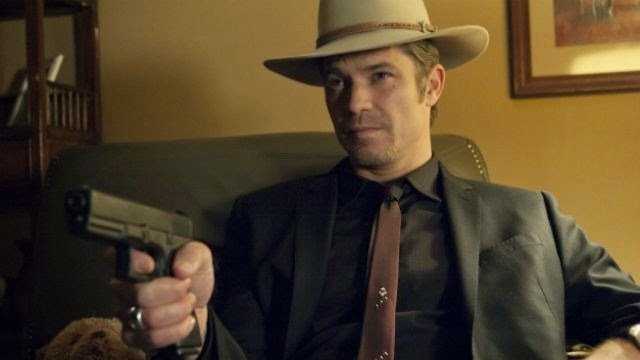 He reminded me a lot of Raylen Givens (Justified TV series), in the way he'd draw his gun like a gunslinger and his casual attitude to intimidation. But despite the storyline being somewhat predictable, I still enjoyed the novel. It was short, exciting and flowed along nicely. It wasn't bogged down by too much gun jargon and the author never went into that lecturing 'prepper' tone that so many books of this ilk do. There is another sub-plot being played out and that involves Mason's father, Tanner Raines, a convict who takes advantage of the situation and frees himself. There were some negatives to draw upon; I though the characterisation was rushed, and Mason, at times did feel a little too wild west for me. I admit, I like my protagonist to be strong, but he was like Raylen on speed. You have to allow for some sort of fallibility. An enjoyable read and one that I would recommend if you're new or newish to the genre. Yes, the price is steep for a book that I finished within a day, but I didn't feel short changed at all.